EATRAN is currently hiring for part time driver positions . Thank You Eaton County For Your Continued Support. Eaton County Transportation Authority (EATRAN) shall provide open-door, curb-to-curb public transportation throughout Eaton County (click for map) for all persons desiring that service. EATRAN shall make every attempt, through Management and its employees to provide and maintain service. EATRAN will work to solve problems through education, negotation , or general corrective processes. Curb-to-Curb service within all of Eaton County. Reservations need to be made in advance. Reservations can be scheduled one (1) month in advance. If you call the day of, availibality may be limited. Morning buses leave Charlotte, Grand ledge and Delta Township and arrive in Downtown Lansing approximately 7:45 am. Return from Downtown Lansing between 5:00 - 5:15 pm. This service has a standard $3.00 fare. Available Monday-Friday. EATRAN can transport passengers to and from medical appointments outside of Eaton County into Ingham County, between the appointment hours of 11:00 am and return no later than 3:30 pm. Reservations for this service need to be scheduled in advance. This is a popular service and fills up quickly, it is suggested that you schedule two (2) weeks in advance but no later than the day before at 12:00 pm. This service has a standard $3.00 fare. Available Monday - Friday 6:30 am to 6:30 pm. The connector is a quick and conveient way to get from the Charlotte Wal-Mart to the Lansing Mall. Plan time for your trip as a one way trip takes approximatley 1/2 hour. Charlotte Wal-Mart, Potterville BP/Franks and the Lansing Mall. Simply meet the bus at any of the three stops. The Eaton County Connector is the same fare as any other in county EATRAN ride. Click the link below for schedule or call the EATRAN office for time and other available options. EATRAN may make several stops, so plan a longer trip than you would in a car. Drivers do not use passenger driveways. EATRAN has a 20 minute window of arrival. Drivers will wait only three (3) minutes from their time of arrival, for Passengers to board. Remember, someone else is waiting for the bus too. EATRAN requires exact fare. Drivers are not allowed to make change. Tokens can be purchased at the EATRAN office, Delta Township Hall or any Eaton County City/Township Halls. Or you can print out an order form and send with your driver. Click here to print the Token Order form. If you do not have the exact fare, you will not be able to ride. NO Tobacco, food or beverage allowed on the bus. NO Weapons, fuel or explosives allowed on bus. EATRAN drivers will assist passengers when requested. Please limit the number of packages you bring on the bus, you may be charged an extra fare for excessive packages. When snowfall is heavy, EATRAN buses travel only on cleared roads. We reserve the right to cancel service due to any unforseen conditions. Please check you local TV and radio stations for delays, cancellations and updates. Rides may be scheduled up to one (1) month in advance. Disability forms are available upon request. Anyone, possessing a Medicare card will be eligible for certification to receive the reduced rate. Click here to print the Reduced Fare Applicaton . Tokens will not be sent through the mail, they will either be sent out with a driver on your next scheduled ride or you can come to our office to pick them up. EATRAN tokens can also be purchased at the EATRAN office located at 916 E. Packard Hwy, Charlotte between the hours of 8:00 AM and 5:00 PM. There is a couple day turnover for you to receive your tokens, so please plan in advance. All meetings are subject to the opens Meetings Act. The L.A.C (Local Advisory Council) meetings are held Quarterly at 11:00 AM. Interested in becoming a member of the LAC? Eaton County Transportaton Authority (EATRAN) provides safe and affordable transportation for a normal lifestyle for those who cannot drive for whatever reason, and to those who choose not to drive for an affordable rate. Since its formation in 1980, EATRAN has returned millions of dollars in State and Federal gas tax monies to Eaton County. Without a public transit provider this money would go elsewhere. While receiving Government subsidies EATRAN continues to operate in a businesslike manner, which has allowed increasing passenger loads and maintaining reasonable fare structure. 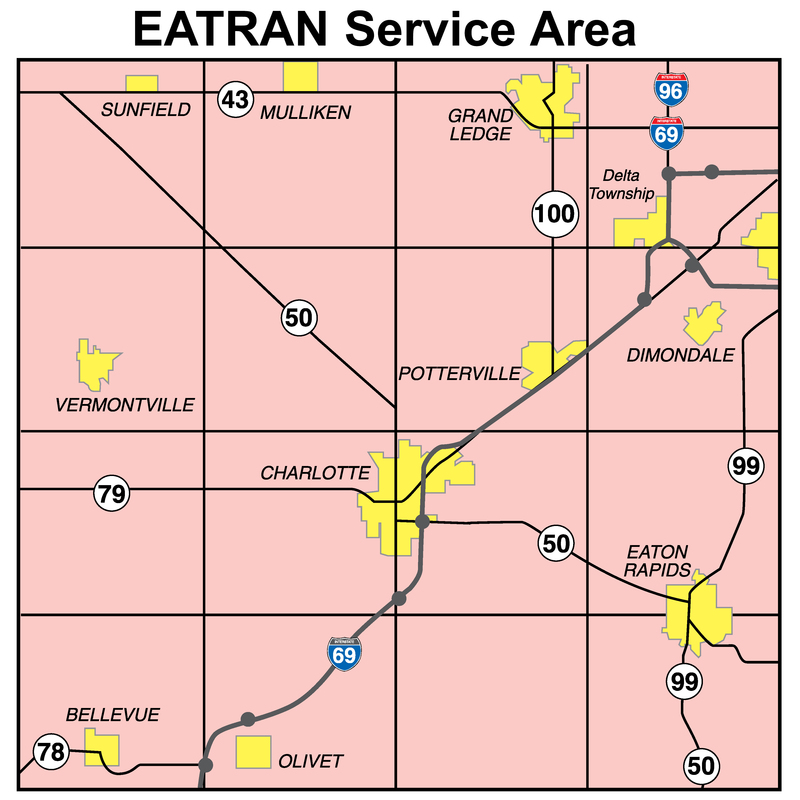 EATRAN currently maintains a total of 26 buses, at their facility located in Charlotte, MI. EATRAN provides regular employment to over 37 individuals, creating economic opportunity and meaningfuls in the public sector. In 2017, EATRAN provided 135,467 rides. Continued Local Millage support allows the daily service to be priced in a manner that enables those who are in need of the services to be able to afford it. EATRAN requests a millage once every five (5) years to meet operational expenses. Vehicle Availability on other than Regular Service Hours and Days. Eaton County Transportation Authority (EATRAN) shall provide open-door, curb-to-curb public transportation in Eaton County for all persons desiring that service. (Curb-to-curb service means that riders are picked up at the curb and not in a private drive). EATRAN does, however, allow the use of private drives to accommodate individuals who are mobility impaired. Such private drives must be easily accessible (circular or turn-around capabilities) and must be well maintained, clear of snow and obstacle free. IN NO EVENT WILL THE EATRAN DRIVER ENTER THE HOME TO ASSIST PASSENGERS. 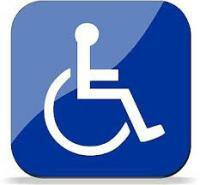 FAMILY MEMBERS AND/OR ASSISTANTS ARE EXPECTED TO ASSIST THE PASSENGER WITH SPECIAL NEEDS IN AND OUT OF THE HOME. The passenger is available to board or exit the EATRAN vehicle per their request for service. The passenger pays their appropriate fare upon boarding, or has made prior suitable arrangements through EATRAN. While on the bus, passengers should use their “inside” voices as not to distract the driver or other passengers. The passenger’s language, presence, and demeanor does not disrupt the safety, peace, and comfort of other riders or EATRAN employees. No vandalism or destruction of EATRAN property. The consumption of food and beverages is prohibited. No tobacco products (including Vapor and E-Cigarettes) and/or illegal drugs. Driver’s instructions are to be complied with in a prompt and courteous manner. If a passenger departs the bus, for ANY reason (including daycare), a fare will be collected when the passenger re-boards the bus. EATRAN will not transport a passenger with open and /or oozing sores. Wounds must be properly and safely covered. Passengers shall not verbally or physically endanger, or in any way disturb the other passengers and EATRAN employees by way of unacceptable language, refusal to take direction from the EATRAN employee, or threat of physical force. Passengers shall not commit indecent or immoral acts or have an inability to control bodily functions while on the bus. Passengers shall not be inebriated to the point of inability to board the bus independently. Drivers who refuse to transport a rider shall notify the dispatcher, who will then alert medical or law enforcement assistance to resolve the issue or remove the passenger's) from the EATRAN vehicle. Passengers who cannot conduct themselves according to the above standards are subject to removal from the EATRAN vehicle, suspension, or termination of services. EATRAN shall make every attempt, through management and its employees, to provide and maintain service. EATRAN will work to solve problems through education, negotiation, or general corrective processes. Passengers who have a complaint about suspension or termination of services should initially seek a resolution with the General Manager. If the passenger is not satisfied with the General Manager’s resolution or the complaint is against the General Manager, then the Board of Directors may be contacted, in writing, within five (5) business days following the General Manager’s decision. EATRAN has a twenty (20) minute window. EATRAN has a twenty (20) minute window of arrival. When you call the EATRAN office to schedule your ride(s), your scheduler will give you this twenty (20) minute window. However, upon arrival, a “no-show” creates a burdensome and unnecessary expense and inconvenience to other riders. An EATRAN driver will wait three (3) minutes from the time of arrival. The driver will sound the horn once upon arrival within the twenty (20) minute window explained above. If no passenger materializes, and with communicated release by the dispatcher, the vehicle may proceed. The rider will be noted on the driver’s log sheet as a “no-show” along with the driver’s arrival and departure time from the point of origin. The driver and dispatcher on duty, for accuracy of time of arrival and departure, and names with that point of origin, must record all “no-shows”. If a “No-Show” occurs, it is the passengers’ responsibility to pay the fare for the missed ride, the next time the passenger is scheduled on EATRAN. If a rider decides to cancel a ride, their cancellation must take place prior to the scheduled arrival time of the EATRAN vehicle that has been dispatched to that location. If the ride is not canceled in this manner then the rider is a “no-show”. EATRAN reserves the right to cancel “permanent” reservations or to refuse to establish “permanent” reservations for passengers with a history of excessive “no-shows” or ride cancellations. Cancels will not be accepted from children. Passengers under the age of 18 are not allowed to change reservation points. This is the parent’s responsibility. If EATRAN is transporting a school age child to/from school, it is imperative that on early release days, half days or any school closing, that a parent contact the EATRAN office to make the appropriate changes to the children(s) rides. EATRAN makes changes and cancellations up to two weeks in advance, this is highly recommended, although this does not guarantee we can always accommodate all changes as we serve the entire general public. EATRAN will work closely with any and all agencies, schools, and private business interests, in providing quality transportation to those who desire the service. In the event that a third party is sponsoring transportation service from EATRAN, it shall be the responsibility of said third party to pay the established costs for the passenger’s travel. 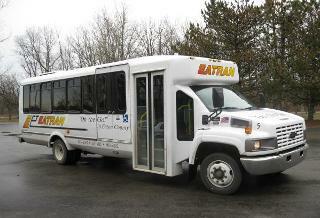 EATRAN is an open door provider of curb-to-curb public transportation, responsible to the residents of Eaton County. EATRAN has, or is required to establish certain definitions, services and fare structures for certain passenger characteristics. Senior Passenger: A person who has attained their 60th birthday. EATRAN allows senior customers to ride for ½ the regular fare rate on regular “in-county” EATRAN routes. Passengers’ w/Special needs: A person who suffers physical, mental, or emotional impairment, either permanent or temporary, which interferes with their mobility or other “life functions”. Persons with visible and/or certified disabilities are allowed to ride for ½ the regular fare rate on regular “in-county” EATRAN routes. Persons without an obvious disability or handicap are required to submit certification of their disability from an agency, doctor or Social Security to EATRAN on the prescribed EATRAN form . EATRAN will then issue the qualified individual a handicapper identification card, which may be requested for identification by EATRAN employees to verify eligibility for ½ fare rate transportation. Children: A child whose age is less than 5 years may ride free if accompanied by a fare-paying passenger (one child free per paid fare). Children traveling alone will be charged full fare. No child under 5 years old may ride unaccompanied. Children (under 5 years of age): Such children ride free only if accompanied by a fare-paying passenger (see above). Personal Care Attendant: A Personal Care Attendant (PCA) may accompany a certified passenger with special needs on any EATRAN route provided they are specifically named on the EATRAN reduced fare certification identification card. Birthday rides: Passengers can ride free on their birthday. Drivers may ask for proof of identification. Election Day: EATRAN will transport individuals free of charge to and from the polls on Election Day. October Cancer Awareness Month: Passengers may ride free to the Barry/Eaton Health Dept. for Cancer screening in the month of October. Cooling Centers: When dangerously high temperatures warrant a threat to the health of Seniors and Persons with Special Needs, EATRAN will provide free rides to and from Cooling Centers within Eaton County. For a Cooling Center near you, call the Red Cross at 517-483-7641. Out-of-County Medical: One person may assist any senior or a person with special needs on an out-of-county medical trip to the same destination at no charge. No other riders are handled free of charge without the direction of management. Most packages, baggage, parcels, or grocery sacks carried by a paying passenger is allowed. Extremely large items, or an excessive number of parcels or grocery sacks (more than 10), may be charged an extra full fare. EATRAN offers reasonable parcel delivery at the appropriate regular (full) fare rate. Such packages will be handled by call-in or reservation. Fares must be paid for at the point of pick-up (unless otherwise arranged with EATRAN management). A package is subject to the EATRAN “No-Show” policy. EATRAN will not transport firearms, explosives or flammable materials. EATRAN reserves the right to refuse transportation of exceptionally large or heavy items, including, but not limited to, furniture, irregularly shaped or bulky items, etc. Standing is not allowed on regular service operations. Once seated, remain seated until bus reaches your destination. EATRAN encourages the use of seat belts. If the bus exceeds seating capacity, the driver will notify dispatch immediately. While passengers may not be required to leave their mobility device for the purposes of transportation, they must allow EATRAN employees to secure their device to the bus by means of the security systems available in the vehicle. Persons refusing to allow their device to be secured will not be transported. EATRAN strongly suggests the use of seat belt devices by those passengers traveling in mobility devices. EATRAN will assume no responsibility for injures or damages resultant from passengers’ refusal to use safety equipment. EATRAN policy does not permit our drivers to transport any passengers who do not have the proper fare. EATRAN accepts for its fares all U.S. legal tender (coins and paper) or tokens in the appropriate fare category. Any rider that presents or is found, upon investigation, to have turned in any other forms of material that is not proper payment for service, will be barred from riding EATRAN vehicles and if possible prosecuted to the fullest extent of the law. All cash or tokens submitted for fares that exceed the fare amount will be counted in the day’s receipts and considered a donation to the EATRAN system. EATRAN drivers do not carry and are not permitted to make change. EATRAN will not refund overpayment nor credit them for future rides unless specific arrangements are made with EATRAN management. Tokens may be purchased at city and township halls and the EATRAN office. Or click here for an order form. Out-of-County Medical Trips: EATRAN provides out-of-county medical transportation for seniors and persons with special needs residing in Eaton County to points in Greater Lansing. Such transportation is provided under a separate, higher fare structure than its regular “in-county” routes. Out-of-county medical trips require an advanced reservation. One (1) person may assist any senior or a person with special needs on an out-of-county medical trip, to the same destination at no charge. There are no fare discounts applicable for this service. Commuter Express: When business conditions demand, EATRAN provides commuter express routes from Charlotte, Potterville, Grand Ledge and Delta under a separate, higher fare structure than its regular “in-county” routes. Such transportation requires an advanced reservation. There are no fare discounts applicable for this service. must be either mailed or dropped off to EATRAN in person. Only the reduced Fare Application can be faxed to our office. Interested advertising on one of our buses? ?